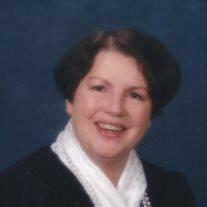 Deanne Glad Darger, 77, passed away surrounded by her loved ones Saturday, May 10, 2014 in Queen Creek, AZ. Deanne is survived by her husband Darryl, her 8 children: Debbie Gessel (Mark); Donetta Tayrien (Grant); Joy Allen (Tracy); Ann Call (Ladell); Dina Gardner (Brent); Scott Darger; Bizzy Esplin (Brad); and Jamie Darger (Heather); 41 grandchildren and 23 great grandchildren. Deanne was very active in The Church of Jesus Christ of Latter-day Saints as she served in various callings. She loved children and spent many years caring for them at her day care (Heavenly Days) and later in her preschool. For many years Deanne served in the Lupus Foundation; even as she battled the disease herself. She fulfilled the responsibility of Local Chapter President and later as Regional Coordinator. Visitation will be Wednesday, May 14, 2014 from 6-8 PM at Bunker’s University Chapel, 3529 E. University Dr., Mesa, AZ. Funeral services will be Thursday, May 15, 2014 at 11 AM, at the LDS Church, 22035 E. Ocotillo Rd., Queen Creek, AZ. She left a legacy of love and service for her family and will be greatly missed.